Ideal for anyone looking for a quirky addition to the desk or home, the LEGO Architecture series presents iconic buildings of world architecture, all realized as LEGO models. Every aspect is rendered in perfect LEGO detail and each model comes with a booklet that discusses the inspiration for the model in fascinating detail. 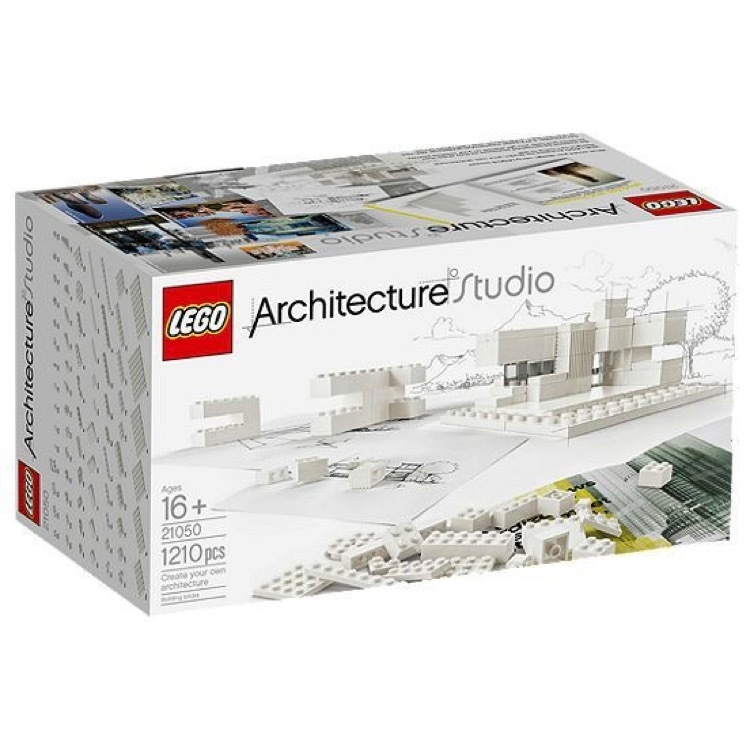 This is a BRAND NEW set of LEGO® Architecture 21050 Architecture Studio from 2013. This set is still factory sealed and the box is in very good condition with minor shelf wear. 1210 pieces and no minifigure©. 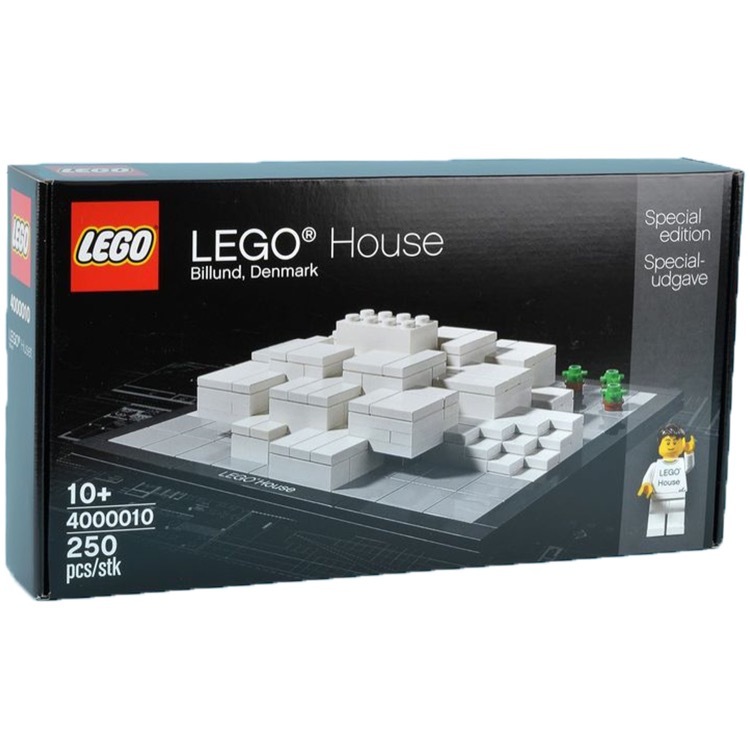 This is a BRAND NEW, HARD TO FIND set of LEGO® Architecture 4000010 LEGO® House from 2014. This set is still factory sealed and the box is in very good condition with minor shelf wear. 250 pieces, 1 minifigure©. 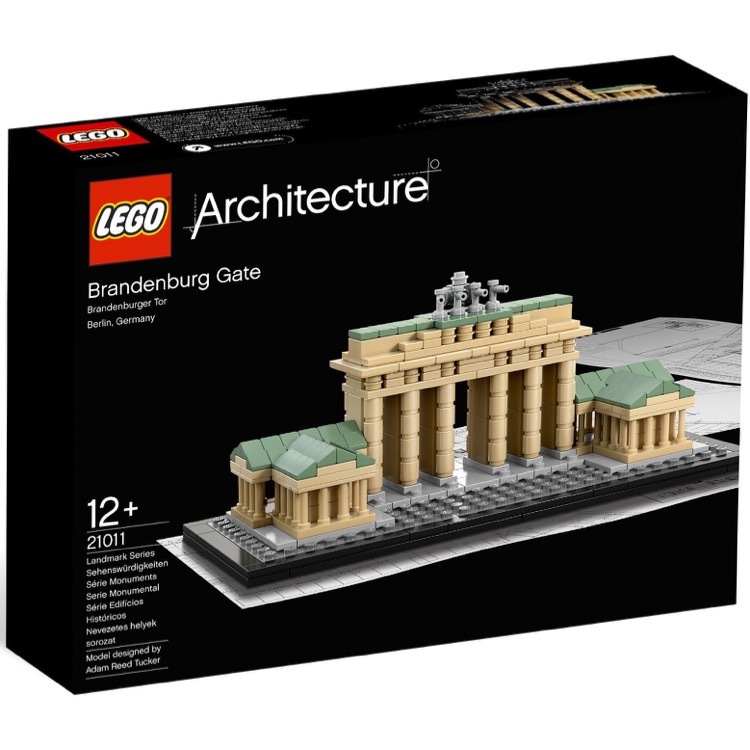 This is a BRAND NEW set of LEGO® Architecture 21011 Brandenburg Gate from 2011. This set is still factory sealed and the box is in very good condition with minor shelf wear. 363 pieces and no minifigures©. 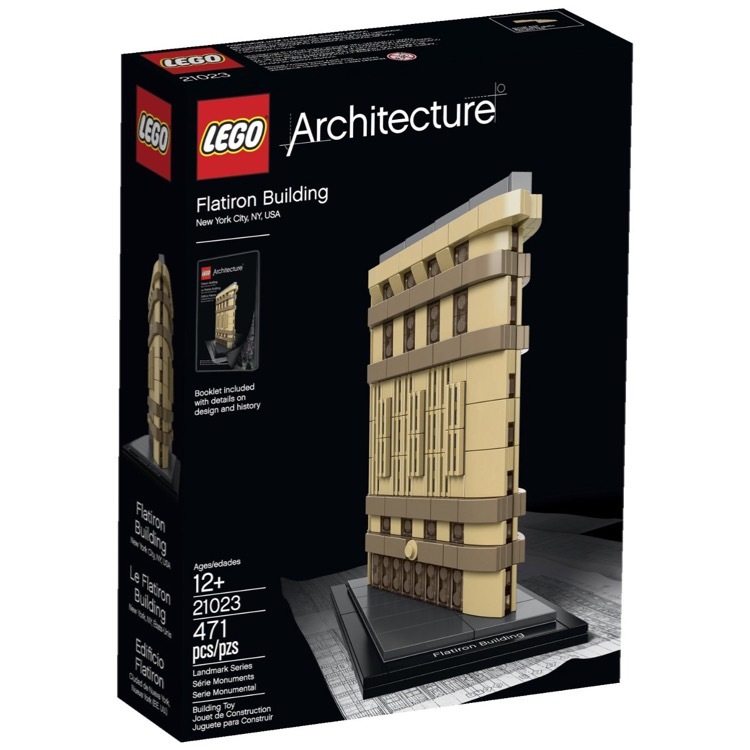 This is a BRAND NEW set of LEGO® Architecture 21023 Flatiron Building from 2015. This set is still factory sealed and the box is in very good condition with minor shelf wear. 471 pieces and no minifigures©. 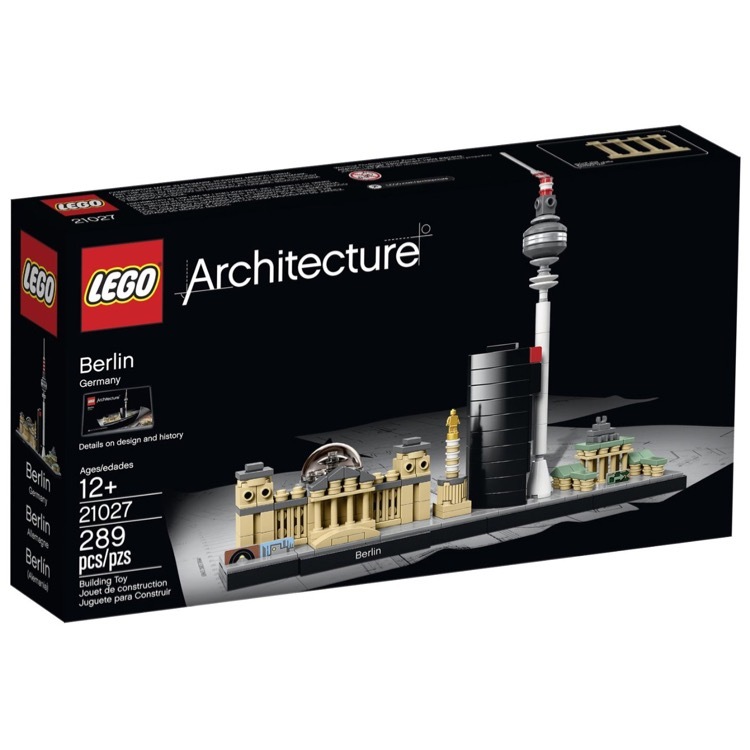 This is a BRAND NEW set of LEGO® Architecture 21027 Berlin from 2016. This set is still factory sealed and the box is in very good condition with minor shelf wear. 289 pieces and no minifigures©. 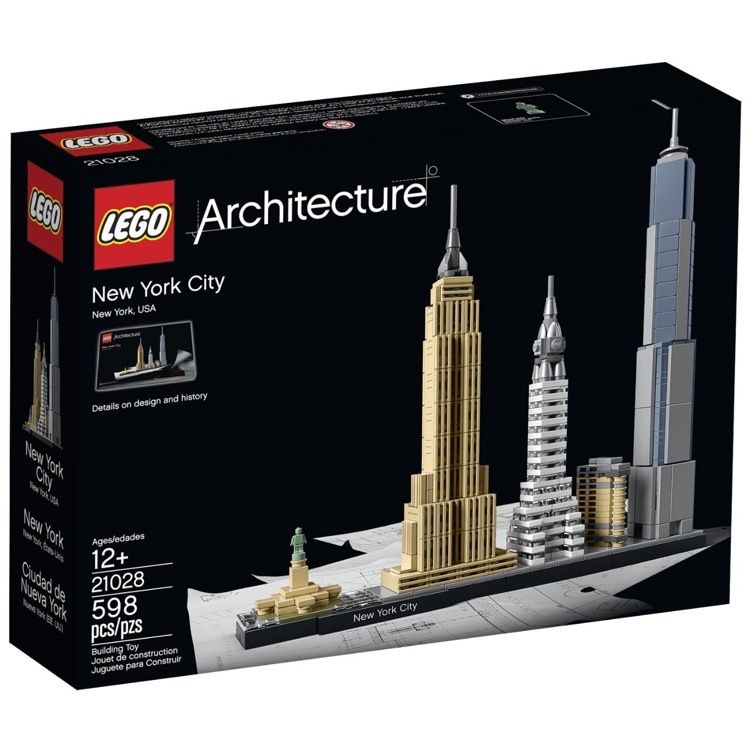 This is a BRAND NEW set of LEGO® Architecture 21028 New York City from 2016. This set is still factory sealed and the box is in very good condition with minor shelf wear. 598 pieces and no minifigures©. 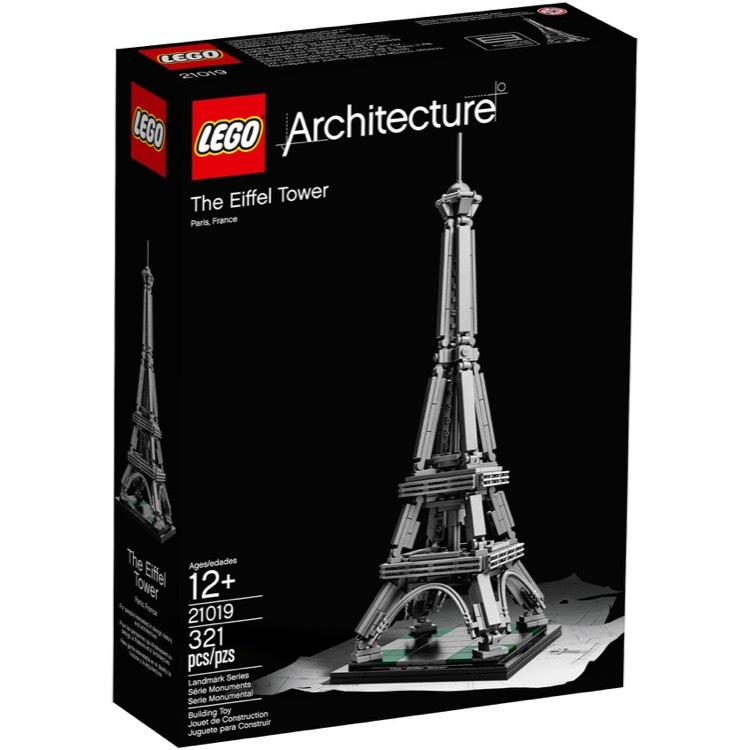 This is a BRAND NEW set of LEGO® Architecture 21019 The Eiffel Tower from 2014. This set is still factory sealed and the box is in very good condition with minor shelf wear. 321 pieces and no minifigures©. 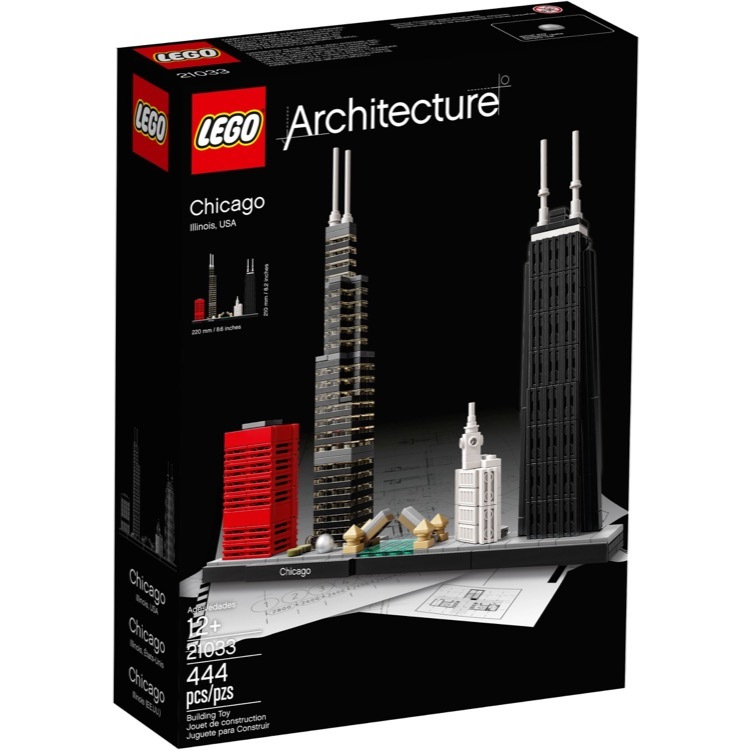 This is a BRAND NEW set of LEGO® Architecture 21033 Chicago from 2017. This set is still factory sealed and the box is in very good condition with minor shelf wear. 444 pieces and no minifigures©. 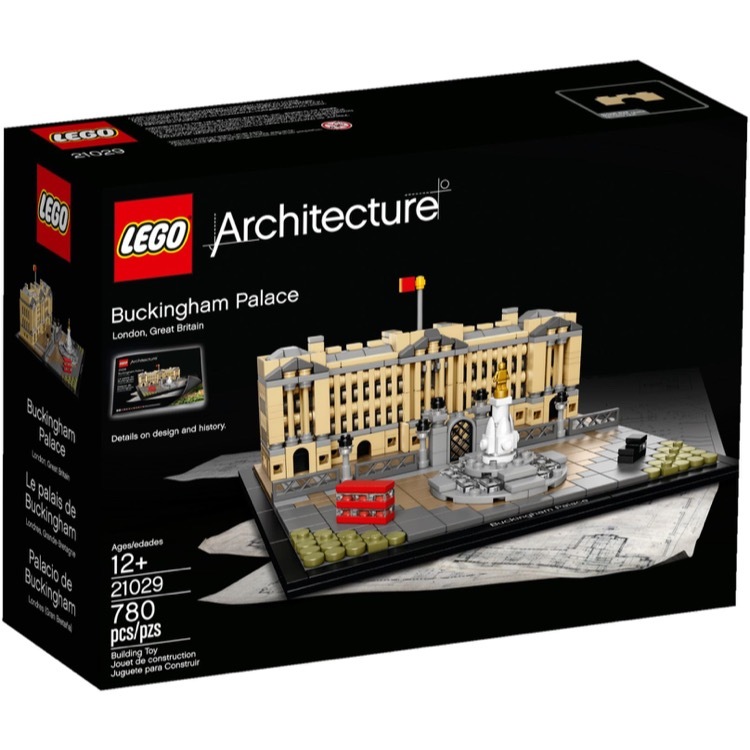 This is a BRAND NEW set of LEGO® Architecture 21029 Buckingham Palace from 2016. This set is still factory sealed and the box is in very good condition with minor shelf wear. 780 pieces and no minifigures©. 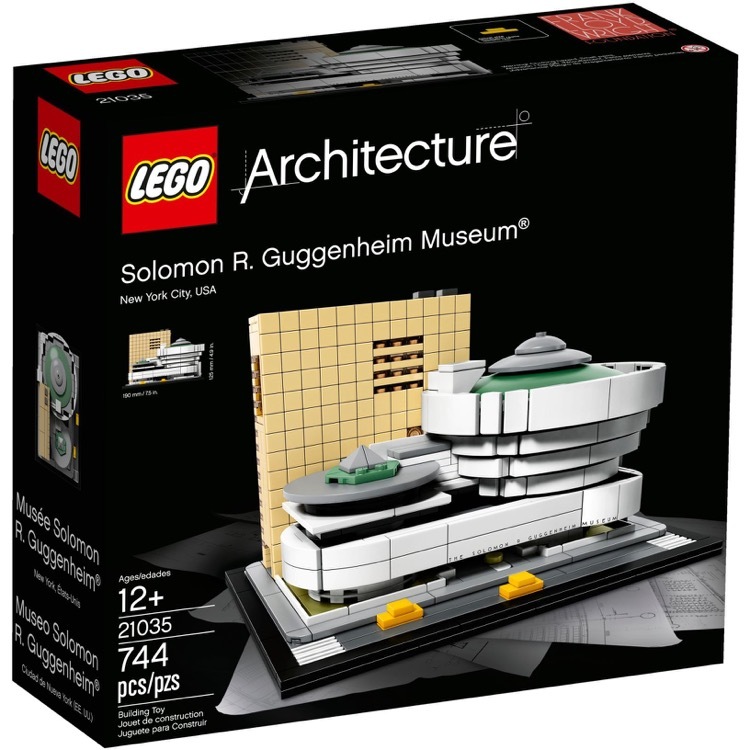 This is a BRAND NEW set of LEGO® Architecture 21035 Solomon R. Guggenheim Museum from 2017. This set is still factory sealed and the box is in very good condition with minor shelf wear. 744 pieces and no minifigures©. 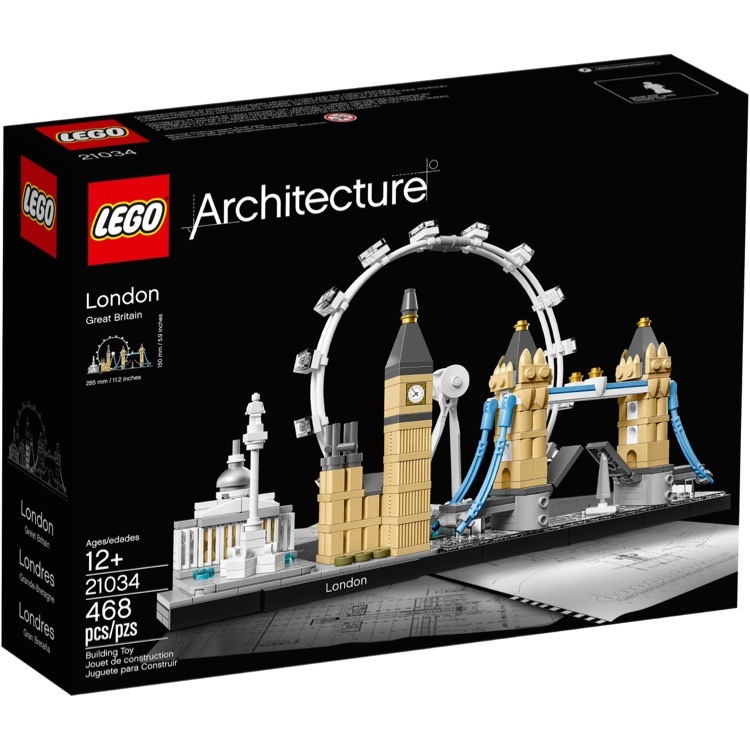 This is a BRAND NEW set of LEGO® Architecture 21034 London from 2017. This set is still factory sealed and the box is in very good condition with minor shelf wear. 468 pieces and no minifigures©. 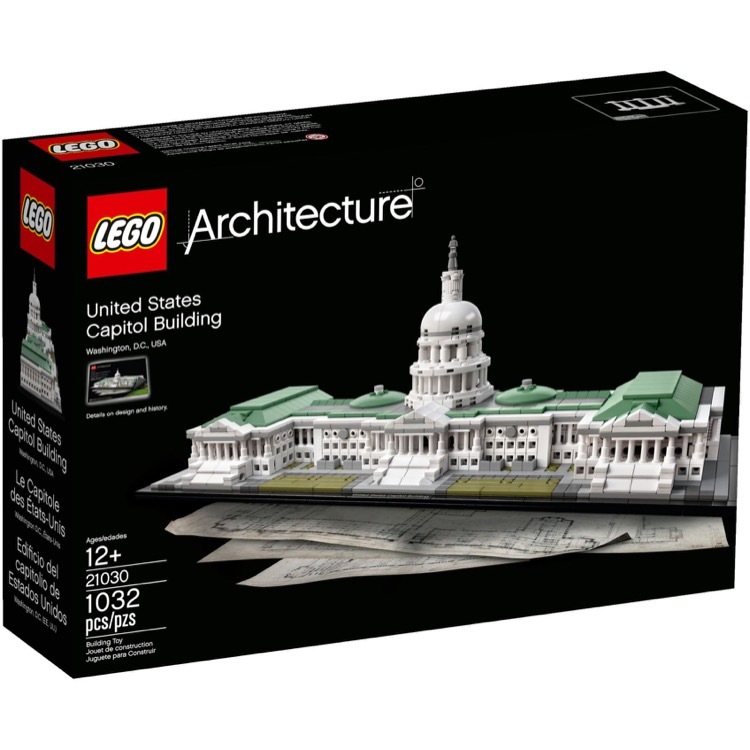 This is a BRAND NEW set of LEGO® Architecture 21030 United States Capitol Building from 2017. This set is still factory sealed, however the box you receive may have one or more of the following conditions; small area of sticker damage, wrinkles, creases, dents and shelf wear. 1032 pieces and no minifigures©.